Irving Elwood Berteig, age 81, passed away peacefully at home in the company of family on June 6, 2016. He is survived by his wife Estell, children Ross and wife Michelle, Rolf and wife Janis Wildy and son Brynulf, and Alissa and partner Ciaran McGee; as well as sisters Maybelle Hoenhous and Evelene Thomas. Irv was born in Portal, North Dakota to Hermund and Ella Berteig on September 13, 1934. The family lived in Bowbells, ND where he attended grade school until 1945. 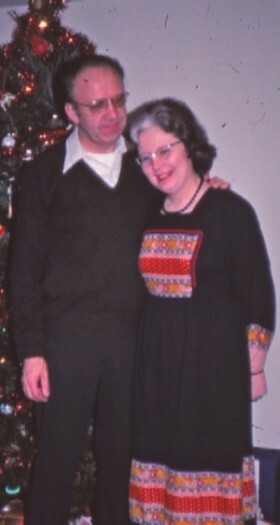 Irv and his parents then moved to Puyallup, Washington by way of Pasadena, California. He graduated from Puyallup High School in 1952. He inherited his love of carpentry and design from his father, and a love of words and a rapport with animals from his mother. He bought his first camera while in high school, and worked for a time photographing people, sports and events for the school paper. A portrait of the school principal that he took and printed hung in the high school for many years. After high school he entered the University of Washington and attended two years before volunteering to enlist in the Army in June, 1954. He served two years active duty, and was honorably discharged to the reserves in 1956 to return to University. After six more years in the reserves he was honorably discharged in 1962 at the rank of Specialist 4. He completed his Bachelor of the Arts in 1958 in Construction Management. After a brief period at Boeing, he once again returned to the UW to earn his Master of Urban Planning in 1962. While at the University of Washington, he met and married the love of his life, Estell Arlie Williams, in 1959. They brought up their three children to share their interests in travel, camping, science, and the arts, maintaining a collection of vintage cars, remodelling each of their houses to make them better homes, raising pets, and work on many local causes. 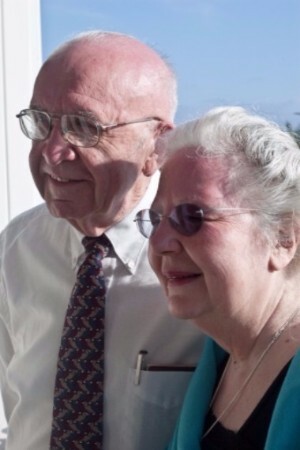 Over the course of 57 years, Estell and Irv owned and lived in four houses in Northeast Seattle. 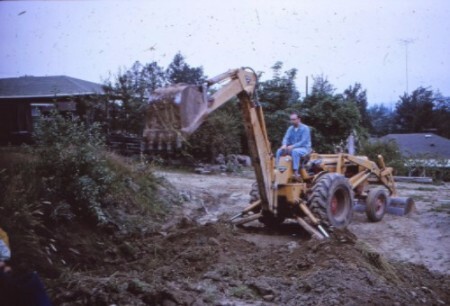 His professional career was spent working for King County in the field of urban planning, first in the Department of Planning, and later Building and Land Development. He frequently presided over zoning and land use hearings for the County following a process required by a statute that he had helped write. He retired from his position as manager of Building and Land Development in 1991, to become a circuit-riding administrative law judge specializing in zoning and land use issues serving various cities and counties of Washington State. Throughout his life he always had at least one project in progress. He built speakers and Hi-Fi gear, cabinets, furniture, and various pieces of houses. He enjoyed having a wild garden, growing delicious vegetables, nurturing rhododendrons and dogwoods. He drew, painted, and carved wood. He was an avid photographer with a home darkroom for black and white film and printmaking. He shot aerial photos for land use cases professionally, and portraits for family and friends. He had a knack for penmanship with print handwriting as crisp and clear as his thought process. He always preferred to repair and rebuild rather than replace, which certainly extended to the family cars. A 1963 Peugeot 403 was an early favorite. Their second VW Bus transported most of the kids, was extensively adapted and modified for family camping, and was unusual for being one of the only cars they bought new. All of their cars had distinct character, several had names, and all were kept running far beyond the usual lifespan. After a vintage 1967 Land Rover Model 109 adopted them in 1983, Irv became particularly attached to the quirky vehicles, and active in the local club. After the 109, a 1972 Model 88 joined the family, and later a 1988 Range Rover as well. While in Norway to visit family, Irv and Estell attended a Land Rover meet-up in Lillehammer, Norway (but sadly without their beloved 109 along for the trip other than in photos), where they were treated to a ride in a local 109 on some of the green roads in the hills that became the Olympic luge course shortly afterwards. Irv and Estell joined with several other families to found the Burke-Gilman Trail Park Committee, which organized the grassroots effort that brought the Burlington-Northern Railroad together with King County and the City of Seattle to create the Burke-Gilman trail from former rail rights-of-way. The Burke-Gilman Trail Park was the first segment of a series of trails that now extends from the shore of Puget Sound to the Cascade Crest. Along with a small group of families and an even smaller group of teachers, Irv and Estell assisted in the foundation of University Preparatory Academy, first by enrolling Ross in 7th grade for UPA’s first school year in the fall of 1977, participating in their formal accreditation process, advising the school on zoning issues related to planned expansions, and serving on the UPA Board of Trustees from 1983 to 1990 during which he assisted with writing a master plan for the school. Irv and Estell were also supportive of the local public schools. Their children attended Maple Leaf, Decatur, Latona Alternative, Ravenna, and Montlake Grade Schools; Eckstein and Meany Middle Schools; and Garfield and Nova High Schools. When the Seattle School Board suggested closing Decatur, Irv worked tirelessly on the local group’s successful effort to preserve the school, and later on a Seattle School District committee studying school closures. He recognized the potential of computing long before it became commonplace. 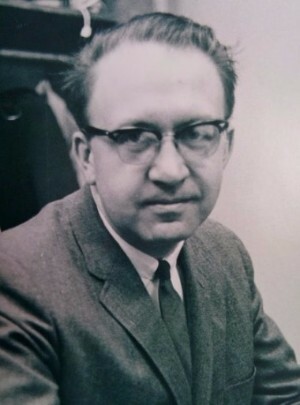 His 1961 Master’s thesis involved a statistical analysis and mathematical model of future population growth patterns in the Seattle metropolitan area that was made possible by one of the UW’s first computers. The County published his thesis with the expectation that similar models would be useful to the field of urban planning. He spearheaded initiatives to use computers for modeling in his work at King County, particularly modelling business and industry trends to predict future workload and departmental budgeting. He also introduced computers and electronics to his children, buying a personal computer for the family in 1979, and encouraging its use for homework, projects, and games. 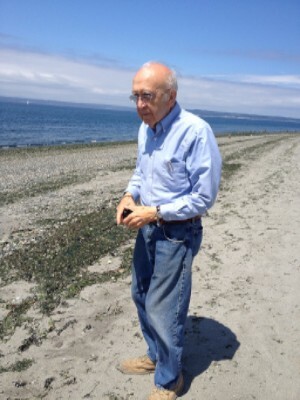 Irv’s immediate family held a private memorial at his Seattle home on June 10th. Remembrances can be made to North East Seattle Together http://nestseattle.org/donate-in-memory-of-irv-berteig/ whose staff, members, and volunteers gave generously to assist Irv and Estell through these difficult times. We’ve fallen out of touch these last several years. During the 1970s, Irv mentored me, held his patience with me when I didn’t deserve it, always welcomed me to his door, and supported my professional growth. He loved technology, particularly its capacity to solve problems—and gravitated to computers long before the technology boom of the early 2000s. Planimeters are (were) a device that would measure and calculate the area of any description on a paper map. He snapped up one, first chance. Then came the era of “word processing.” He adopted it immediately, organized one of King County’s first word processing staffs and transformed our department at the same time. I no longer worked for him when the computer revolution truly boomed, but I know, as we kept in touch over the years, he took every advantage of its potential for enhancing productivity. Visiting your home, he showed me how he had his files and photographs incredibly well organized on backup CDs, a task that seemed overwhelming to me at the time. Irv, after all, was an avid photographer. Knowing him, he surely accomplished the same on The Cloud before he left us. Irv loved nature. He worked tirelessly as a public servant to protect and preserve public open spaces and natural systems. He dearly loved his home on the ravine and, of course, the ravine itself. He worked hard with the community to preserve its splendid woods, yet another way he contributed to his community with his deep understanding of ecology. I admired Irv’s commitment and work dedicated to quality education. What an incredible legacy or any of us. AND! I admired his ability and affinity for keeping old European cars running! Frankly, I didn’t understand it, but sometimes, when I think of Irv, I wish I was that kind of person. Kate and I are thinking of you with our most tender thoughts. It was an honor to get to know Irv in his final years. Dementia was taking a toll, but I got to know a wonderful man. I saw him enjoy the beauty of his old-growth forest, and I saw his love of work. He had meetings to attend and role-playing to do to prepare for presentations. He kept a color-coded notebook, and had meticulous hand writing. Irv was kind and compassionate. He teared up one day as I told stories about my father, and Estell, you explained how much he loved his own. When I sat with him in the hospital recently, I told him about meeting his children. His eyes sparkled and he thanked me for telling him. His love for you, Estell, was so real; he was at peace in your presence. Irv honored me - every time I said good-bye, he gave me a firm handshake, and his eyes communicated warmth and respect. Irv will be missed and fondly remembered.